Winter always slaps me in the face with a wet glove. Work is typically slow to pick up as I wait for clients to return from holiday travel and get back up to speed. I cooked so much last month that I draw a complete blank when coming up with ideas for January. I got nothing. So I turn to sometimes silly little things to generate ideas, like made up food holidays. There’s always something there to work with. Facebook cooking groups are another. Food in Jars has a monthly challenge I decided to do, though I have enough jars of jams, chutneys and pickles stocked up to last a lifetime. Eh, what the hell. The January challenge was citrus and I had a big bowl of fruit that needed to be used. 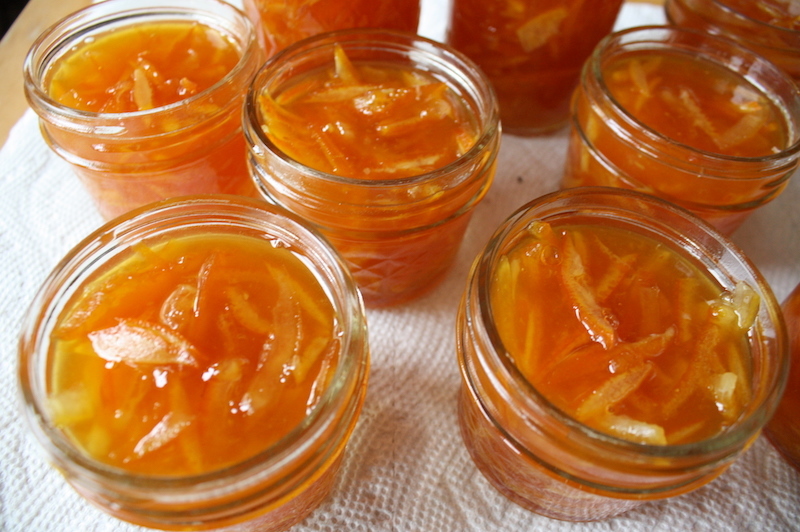 Recipes with purpose I guess and I do love a good chunky marmalade.